At B & P Water Shop, we believe that everybody should be able to enjoy the healthiest, best tasting water that’s free of all impurities with nothing added to it. That’s why our family run business has been offering purified water sales and service to homes and businesses in the Prince Albert area since 1990. Our water is treated using reverse osmosis – a process that separates away even the tiniest impurities. We then treat it with ultraviolet light to kill any harmful bacteria that may remain. The end result is that you get the cleanest and most hygienic water that still keeps its pure and refreshing taste. When you choose B & P Water Shop, you can always expect top-quality service during every interaction with us. Count on us to sell, install and maintain water coolers for your home or business. 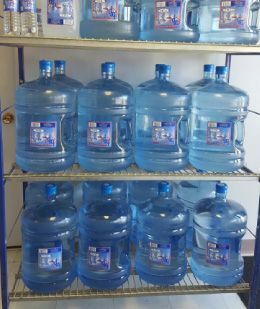 We offer a wide variety of water coolers, depending on your needs. No matter which manufacturer your cooler comes from, we have the skills to maintain and repair it. Impress your clients at your next function by handing them a bottle of our purified water with your branding on it. Not only is it a great way to keep your guests hydrated, it can also place your company’s logo or message in the hands of trendsetters and people in the spotlight. At B & P Water Shop, we make every last drop count. Call us today for an estimate. We deliver to a large area from Yorkton to La Ronge.